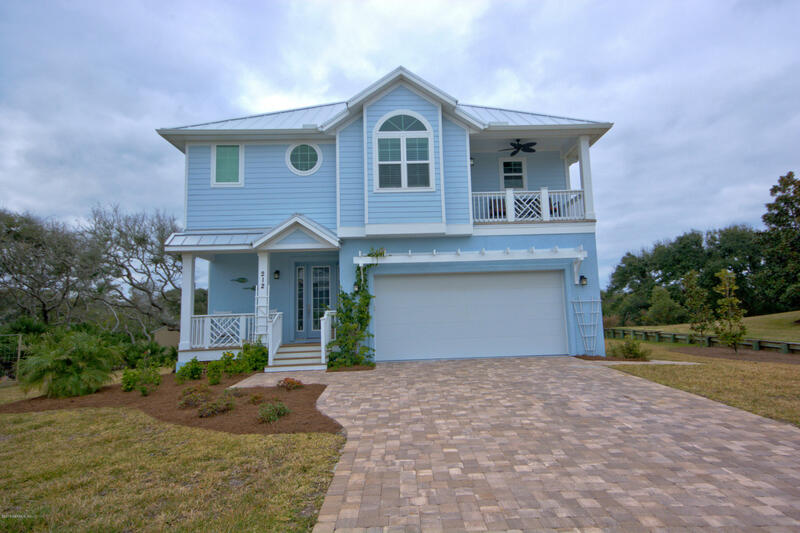 This 1-year-young, Vilano Beach custom home built by Ruggeri Construction is truly remarkable insideand out. Featuring solid-concrete walls, standing-seam metal roofing, hurricane-rated windows anddoors, top-of-the line cabinets and ''Kitchen Aide'' appliances.....and we're only getting started. Thedownstairs boasts of 2 bedrooms, a full bath and a separate living area with a wet bar, all of which opento the gorgeous paver patio, heated pool and hot tub. Your guests will love it. The upstairs features anopen floor plan that combines the living, dining and kitchen areas into one large and wonderful familyspace complete with a gas fireplace for those cool mornings and chilly evenings.